The storage needs of airplane owners are quite different. Depending on how many airplanes you need to store and the sizes of those airplanes will determine how much airplane storage space your going to need. The Schweiss Bifold and �One-Piece� airplane hangar doors are available in a variety of designs and sizes and answer the needs of a wide-range of airplane storage building owners. No matter what size your storage building is Schweiss can custom-manufacture a door to fit your opening. Airplane hangar owners all around the world trust the Schweiss name to meet their airplane storage needs. 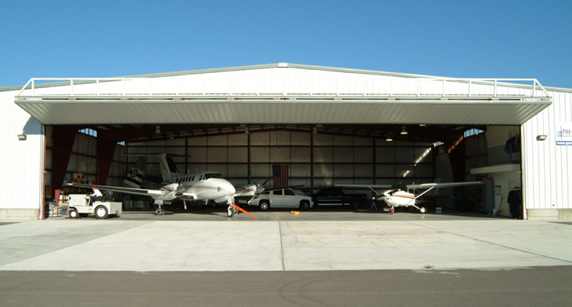 Schweiss Bifold or �One-Piece� Doors are the highest-quality and most cost-effective solutions available for your airplane storage hangar today, whether for an existing or new airplane hangar.